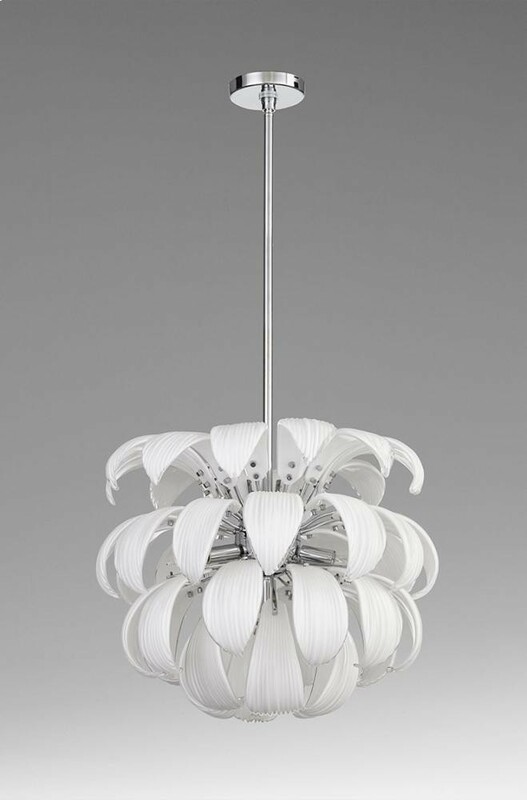 Revel in the charming floral silhouette created by this exceptional pendant. 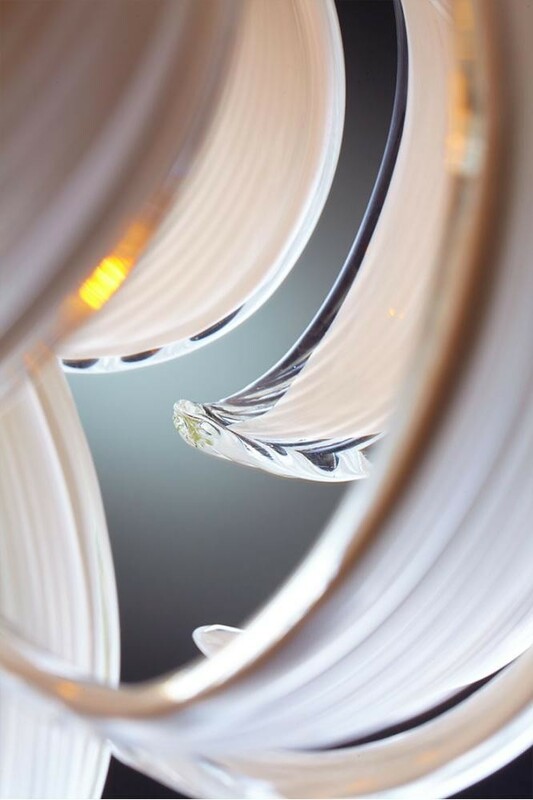 White glass meets chrome in a stunning design that softens a contemporary space. 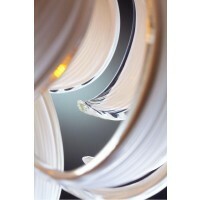 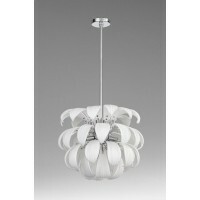 This six-light chrome and white glass pendant is a must-have for a custom space.